Altamonte Springs is a suburban area 10 to 15 minutes north of Orlando. This quiet neighborhood is a great fit for families and young professionals, as there is plenty to do within Altamonte for all ages. The heart of this community is Uptown Altamonte, Altamonte Spring's growing "downtown" area. 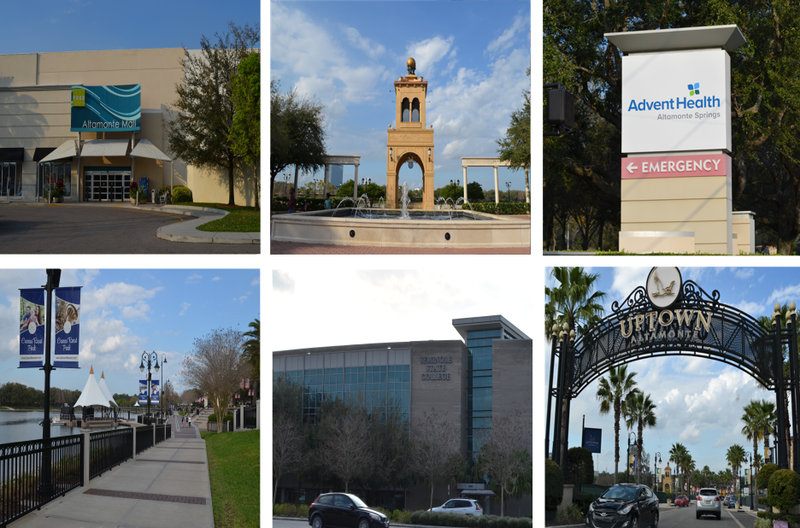 Uptown Altamonte circles Cranes Roost Lake and Cranes Roost Park, Altamonte Springs' top two attractions. Uptown Altamonte's calendar of events will keep you entertained year round. Altamonte Springs is located along I-4, making it an ideal neighborhood for commuters. Just because you're close to the Interstate doesn't mean that traveling to and from any of Orlando's metropolitan areas is always a breeze. During peak traffic in the morning and evening, I-4 tends to back up. The good news is that living in Altamonte Springs apartments gives you access to SR 434 and U.S. 17-92, two major roadways that are generally less congested, and provide quick access to Orlando. The focal point for activity in Altamonte Springs is Uptown Altamonte, where Cranes Roost Lake and Cranes Roost Park form a hub for local events and celebrations. Cranes Roost Park is one of Central Florida's prized venues for weddings and other ceremonies and is frequently rented out for events. You can walk, bike, or skate around Uptown Altamonte on a number of paths and walkways. Uptown's open layout gives you the freedom to explore the area and soak in the gorgeous lake views and lush scenery. Cranes Roost Park's calendar is loaded with weekly, monthly, and annual events for people of all ages. Red, Hot & Boom is the Orlando area's #1 Independence Day fireworks celebration and is hosted annually in in the park on July 3rd. This event alone draws thousands of people to Uptown Altamonte to enjoy the spectacle. One of Altamonte Spring's main points of interest is its mall. The Altamonte Mall is one of the greater Orlando area's premier malls, and features an array of popular stores including anchors like Macy's, Sears, Dillard's, and JCPenny. The mall even has its own Apple store, one of three in the Orlando area. With roughly 160 stores, you'll be able to find pretty much everything you could want at the Altamonte Mall. If you need to take a break from shopping, there's also an 18-screen AMC theater boasting IMAX and 3D technology. Still need more? Luckily, Orlando's Mall at Millenia is only about a 25-minute drive from Altamonte Springs via I-4. In Altamonte Springs, you'll find everything from sushi to subs. Fast food and national chains line Altamonte Drive. There are only a handful of restaurants within Uptown Altamonte proper. At Café Murano, you can dine al fresco across from Cranes Roost Lake or savor the café's Italian cuisine and rustic interior. Outside of Uptown Altamonte, several dozen well-known restaurants line SR 406. One of our staff's favorites is Seasons 52, a concept that gathers local ingredients at peak freshness to create one-of-kind menu items in a relaxed setting.